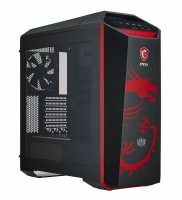 Taipei, Taiwan – December 21st, 2007 – Amid rising global energy concerns, leading-edge PC component brand Cooler Master is launching its Green Guard Program in an effort to bring focus to PC power supplies and the environmental effects of modern desktop computing. As energy waste is on the rise, it’s time to ensure the efficiency of PC power supplies and make sure that they are living up to their promises. Cooler Master has taken this one step further by encouraging everyone to be environmentally conscious and get a chance to win a BRAND NEW 2008 TOYOTA PRIUS! Cooler Master’s Green Guard website provides useful information about energy efficiency, including tips on how to reduce energy consumption for the betterment of the environment. 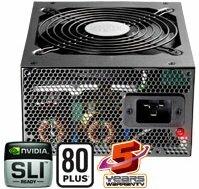 Also on the Green Guard website is a handy calculator that shows users what money they could be saving, as well as the CO2 emissions they could be preventing by switching over to environmentally-conscious 80 PLUS© certified power supplies, such as Cooler Master’s Real Power Pro Series. Write a blog post that shows what steps you are taking to help conserve energy. It could be at home, at work, at school, in the community – or all of the above! Purchase an energy efficient Real Power Pro/M PSU and enter a valid serial number into the contest site. From now until June 2008, five lucky winners will be drawn every month for a high-end Cooler Master prize package. In addition, one winner will be selected every month by our panel of judges to receive a special honorary prize package. It gets even better. To really get the entries rolling in, Cooler Master will be giving away an all-new 2008 Toyota Prius, valued at over $20,000 USD during Computex to the entry that had the biggest positive environmental impact! Full contest details are available on the Green Guard microsite. “As one of the top brands in the PC power supply market, it’s truly exciting to be able to present an energy efficiency program that educates and gets people involved. Through the Green Guard Program we hope to make more people aware of the importance of being energy efficient.” says Joey Cheng, Product Manager of Cooler Master’s PSU Division. Wasting energy is a bad idea, not only for you and your personal economy, but it also raises unnecessary demands on global energy production. By using 80 PLUS© certified power supplies from Cooler Master, you are one step closer to maximizing your energy efficiency. 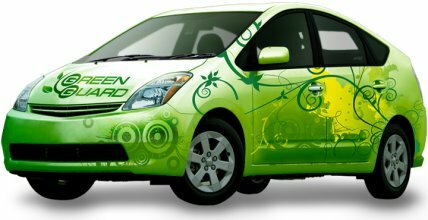 Do your part to save the environment with the Cooler Master Green Guard Contest and you could be in the driver’s seat of an all-new 2008 Toyota Prius!